Researchers in Portugal have sounded a note of caution when it comes to assessing the risk of exposure to fungal spores in a range of settings, including horse stables. The study team, based at the Polytechnic Institute of Lisbon, noted that recent concerns about human exposure to microorganisms in indoor environments had also focused on fungi. However, cultures in air samples were usually the only parameters used to assess indoor fungal contamination, they noted. “The number of studies where fungal contamination in workplaces has been characterized both in the air and in the surface samples is very limited, Carla Viegas and her colleagues wrote in the International Journal of Occupational Medicine and Environmental Health. Because contamination can result from fungal spores’ dispersion in both the air and on the surfaces, it was important to assess specific environments based on the results of both types of samples. 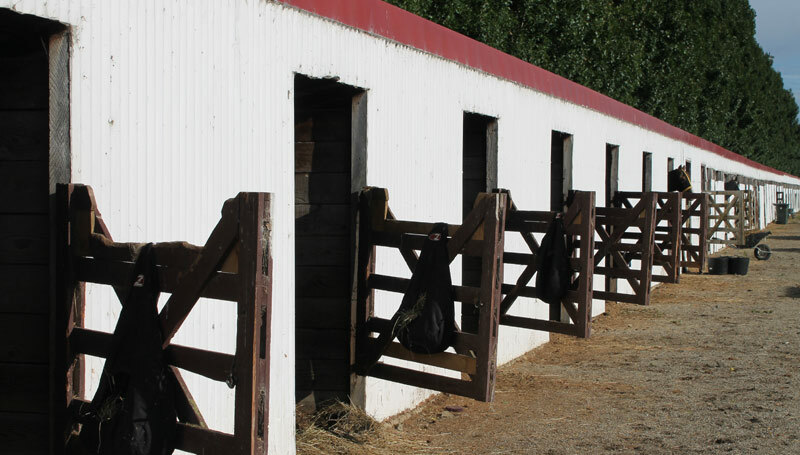 The researchers assessed fungal contamination in samples from 42 settings, including a horse stable, to show the relevance of surface sampling in complementing results from air samples. They divided the settings into those with a high fungal load – seven poultry farms, seven pig farms, three cork industries, three waste management plants, two wastewater treatment plants, and a horse stable – and those with a low fungal load, comprising 10 hospital canteens, eight college canteens and a maternity hospital. In all, the samples were gathered from 218 sites within those settings, based on the amount of time spent by the workers in those places during their occupational activity. They gathered 259 air samples and 231 surface samples, including six air samples and three surface samples from the stables used in the study. They were incubated in the laboratory to see what fungi grew. Molecular tools were applied to detect fungal presence in 44 samples – all from settings with higher fungal loads. Of the 218 tested sites, 140 (64.2%) presented different species in surfaces when compared with the ones identified in the air. They found that 107 out of the 140 sampling sites (76.4%) that presented different species were from the group with higher fungal loadings. The settings with higher fungal loads tended to show more differences between the presence of different species in the air and surfaces. The researchers said surface sampling was crucial for a correct and complete analysis of occupational scenarios. Analysis of surfaces for characterization of fungal burden – Does it matter? Carla Viegas, Tiago Faria, Márcia Meneses, Elisabete Carolino, Susana Viegas, Anita Quintal Gomes, Raquel Sabino.